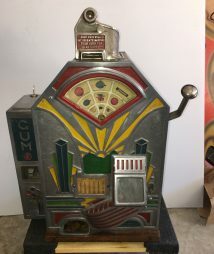 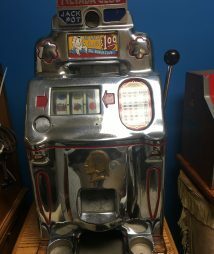 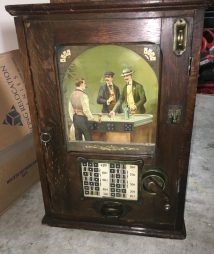 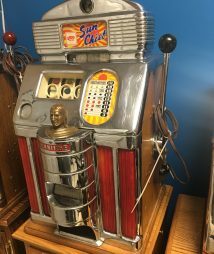 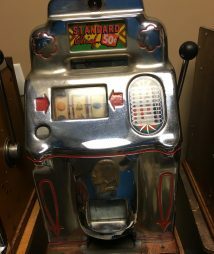 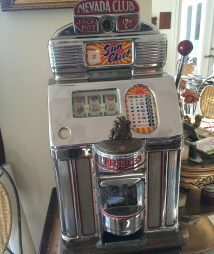 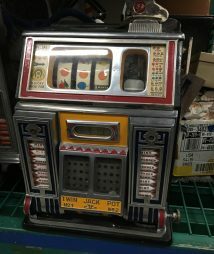 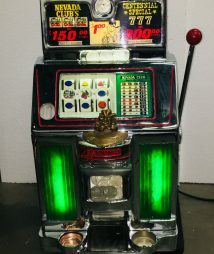 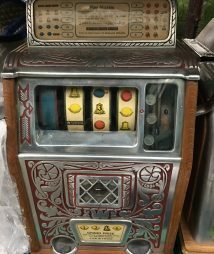 Gameroom Show sells pre-1940s vintage slot machines in excellent, working condition. 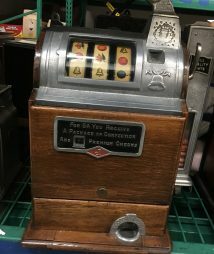 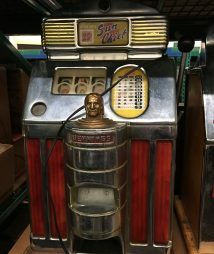 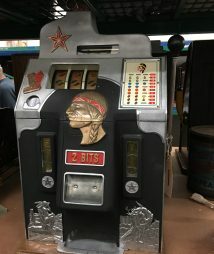 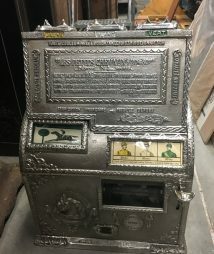 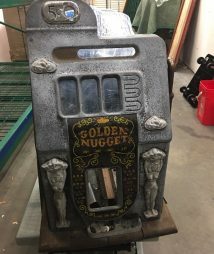 These rare antique slot machines are also known as “one-armed bandits” because they were originally operated by one lever on the side of the machine as opposed to a button on the front panel, and because of their ability to leave the gamer impoverished. 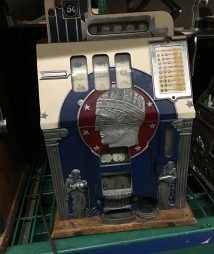 Gameroom Show sells multi-slot machines, Watling slots, Mills antique slots, Jennings slot machines, nickel slots, penny slots, upright slot machines, and vendor machines, including a selection of antique slot stands, metal castings, and arcade catalogs.